Like so many things in today’s B2B marketing world, the question of what does or doesn’t cause business emails to be classified as spam constitutes a moving target. For example, in this earlier post, I discussed how whereas in the past spam triggers were largely triggered by content (for example, the word “free”), we’re told that the biggest variable today is now sender reputation. Count on one thing – what triggers spam filters or otherwise causes your email to be directed into a prospect’s spam folder will almost certainly continue to change as email technology evolves (witness the great commotion in marketing circles recently when Google announced the Gmail “tabs” feature) and as the way in which businesspeople access, read, and engage with their email changes with the times. The bigger question is: as a B2B marketer, and more specifically, a B2B email marketer, is any of this really critical to your day-to-day campaigns? I would argue that, for the most part, the answer to that question is: no. I understand that the notion of prospects never even receiving one of your precious marketing messages can be frustrating. I also understand that the specter of being blacklisted is a frightening prospect. And who amongst us hasn’t received a panicked message from a boss or board member or client who found the latest campaign buried in his/her spam folder? Moreover, if you are a slave to the “we must not trigger spam filters no matter what it takes” philosophy of email marketing, you may do more harm than good. Anecdotally, I can recount any number of client email campaigns over the last 15 years or so in the agency business where a particular test cell that generated a lower delivery rate, even a lower open rate, ended up generating more leads. In other words, there are some variables that will increase spam score but also improve campaign effectiveness. The aforementioned word “free” is one example – it may (or may not) result in fewer people seeing your email, but those who see it are more likely to respond. HTML design is another. If all that was important was eliminating spam scores, every B2B marketer would send nothing but plain text emails. However, we know that good, effective HTML design can increase response. More recently, there’s the growing trend of segmenting lists by “engagement” – that is, treating those who have responded to campaigns in the past differently from those who fail to respond. This is founded on the practice by some ISPs to use engagement (opens and clicks) as a means to decide which marketing messages make it into their customers’ inboxes. The theory is that continuing to broadcast to “inactive” contacts can impact sender reputation with that ISP. But in practice this is a much more severe issue for B2C marketers, for whom a reputation problem with one ISP, say a Yahoo or Google, can have enormous implications for deliverability. A typical business email marketer, however, is generally mailing to a large number of corporate domains and far fewer monolithic ISPs, so the risk is diminished. Moreover, a strategy based on tiptoeing around those who fail to engage in the past is unlikely to win that engagement in the future. This is not to say that instituting a few common sense best practices designed to minimize spam score and maximize deliverability is a bad idea. (Testing emails thoroughly prior to launch is just one.) But deliverability is not the end goal here. Response rates and even ROI are the metrics that should guide your email strategy, not spam rates. This entry was posted in B2B Marketing, Campaign Measurement, Campaign Planning, Campaign Strategy, E-mail, email design, email marketing and tagged B2B email marketing, email best practices, email deliverability, email marketing, email marketing best practices, spam rates, spam scores on November 25, 2013 by Howard Sewell. 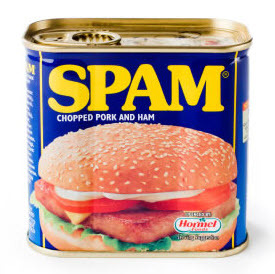 Hi Howard – Being a slave to the avoiding the spam trap is the wrong approach, as you say. However, based on the blacklist stories I’ve heard over the last three months I do think it’s important to minimize the impact with data management. Bounce rates and spam complaints will always happen. But getting the scary traps out is really important, in my opinion. Brian, I don’t disagree. Where I have a problem is where companies care more about minimizing spam than they do about maximizing response. I completely agree with what you’re saying given that you’re focusing on B2B marketers. The comments about “FREE” boosting net response and not having to worry so much about “monolithic” email services are spot on. Having said that, B2B marketers also need to take care not to be penny-wise and pound-foolish when it comes to choosing the ESP that will actually send out the emails. We’ve done several head-to-head split tests against one of the lowest cost ESPs out there, and we have noted a 20-25% increase in open rates when sending email from the client’s domain vs. using the low-cost ESP’s “one-size-fits-all” shared domain. Since all other things are equal, we can conclude only that the difference is in more email actually getting delivered, which makes sense since any corporate email administrator will know that incoming email with an ESP’s domain name attached simply has to be a marketing message. And so into the digital dustbin it goes.